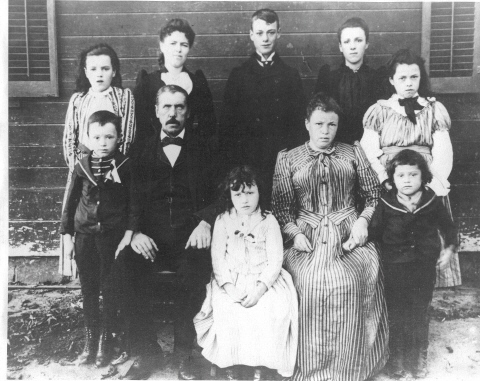 Picture of Michael F. and Annie Logan Martin Family of Newport. Michael and Annie ran the King farm where St. Augustin's church is now. Annie turned the first spade of dirt when they built St. Augustin's. 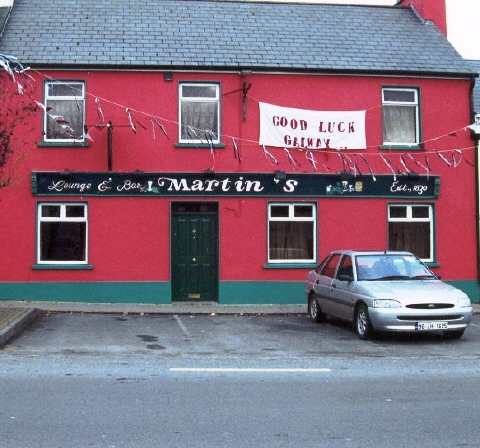 Martin's Pub in Ballygar, County Galway, Ireland. Ballygar was the original home of Michael Martin and family.